Waimea Valley is a place where conservation of natural resources and culture go hand in hand. 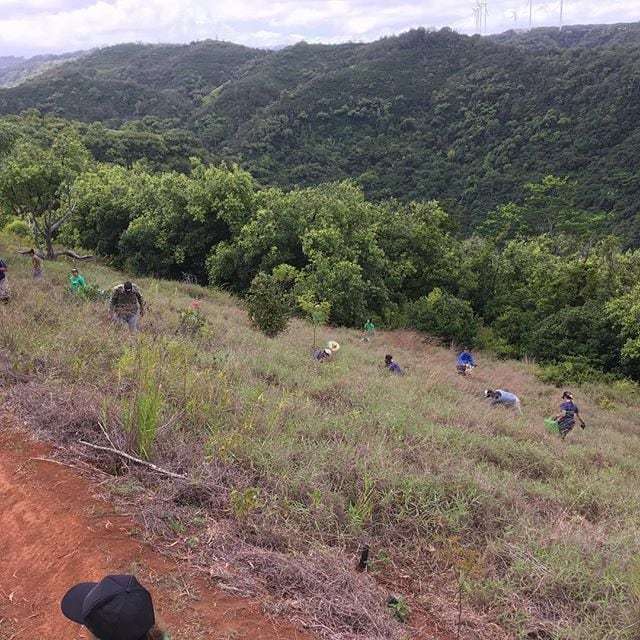 Careful monitoring and restoration of native ecosystems within the ahupua’a of Waimea Valley demonstrates how cultural uses and gathering can encourage stewardship from within the local community. Our mission at Waimea Valley is to preserve and perpetuate the human, cultural, and natural resources. As stewards of the Valley, we are committed and active partners in the conservation and management of natural resources on a local and global scale. We will continue our commitment to protect and restore our ahupua’a (land division) for further generations. 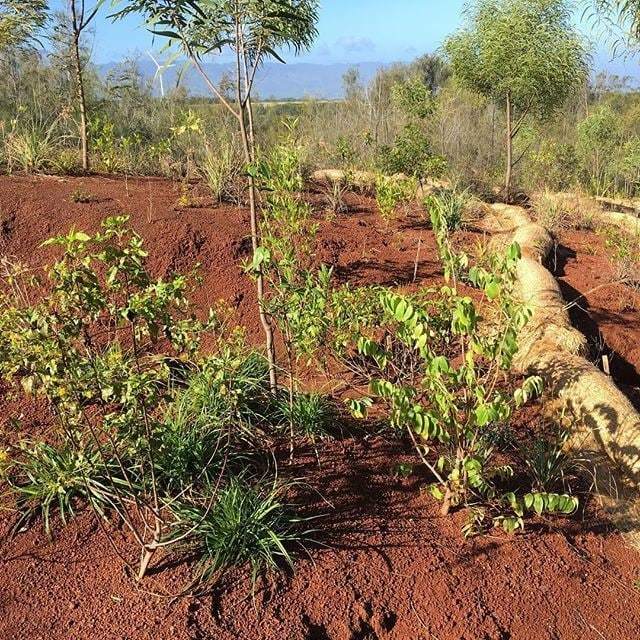 Our two core forest restoration projects that contain lama, wiliwili, koa, ‘ohi‘a ’ai, ‘ohi‘a lehua, or alahe’e are the 20 acre Kalahe’e Community Restoration Project and the 15 acre Waimea Mauka Native Forest Project. 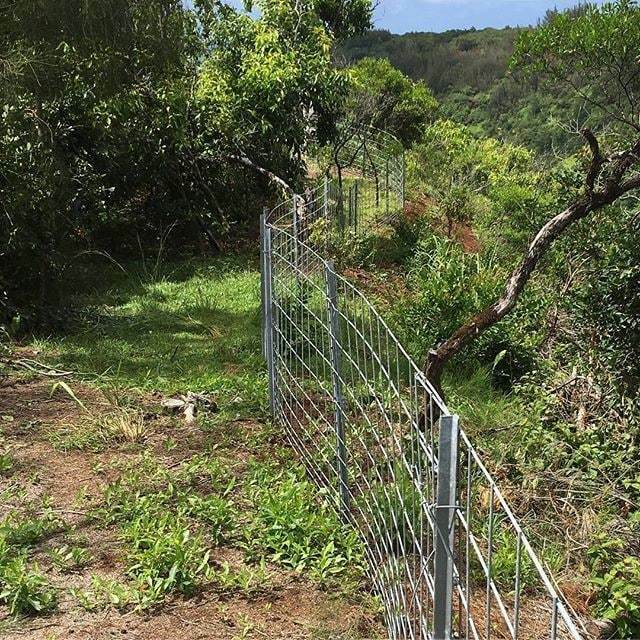 Both of these areas are fenced and free the native species of the feral pig. Over 16,000 native plants have been planted in these sites by local and global volunteers alike. The planting events focus on hands-on work and education that is both environmental and cultural. We understand that culture is rooted in and stems from the environment. With the support of the community and State, Federal, and private agencies, Waimea is achieving its mission. 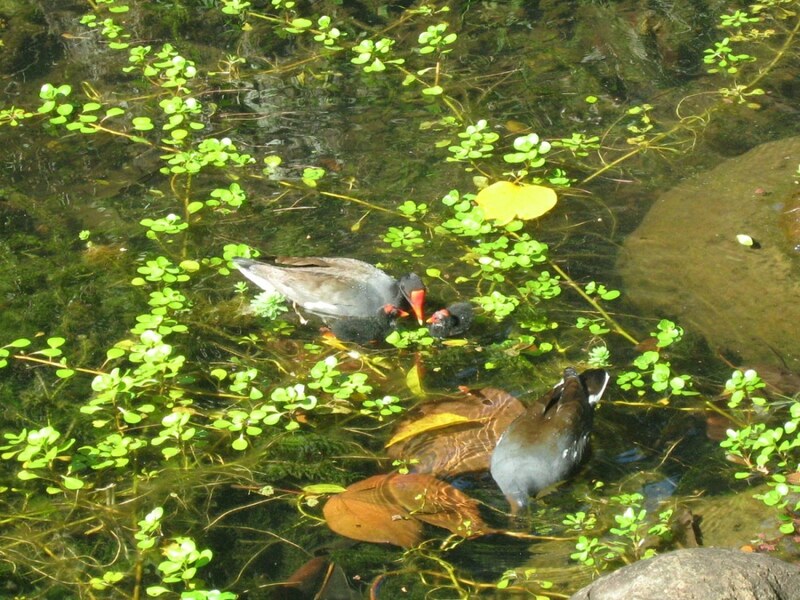 The ’alae ’ula, Hawaiian Moorhen (Gallinula chloropus sandwicensis) is an endemic native species that is on the Endangered Species List. These amazing and secretive water birds give us a glimpse into the past and the types of birds that we would have seen in coastal areas during old Hawaii. There are only about 500 of these birds left in Hawaii. Waimea is home to about 15 individual birds. 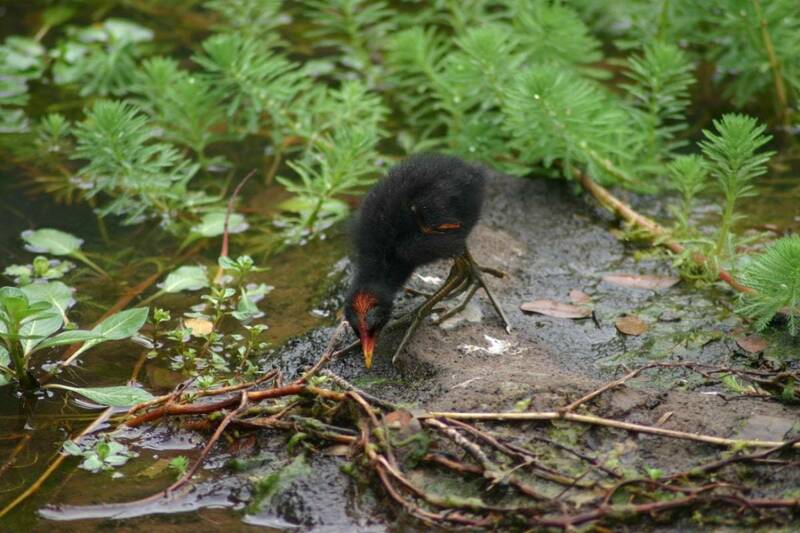 Our population grows every year and the habitat expands into new areas of the wetland. 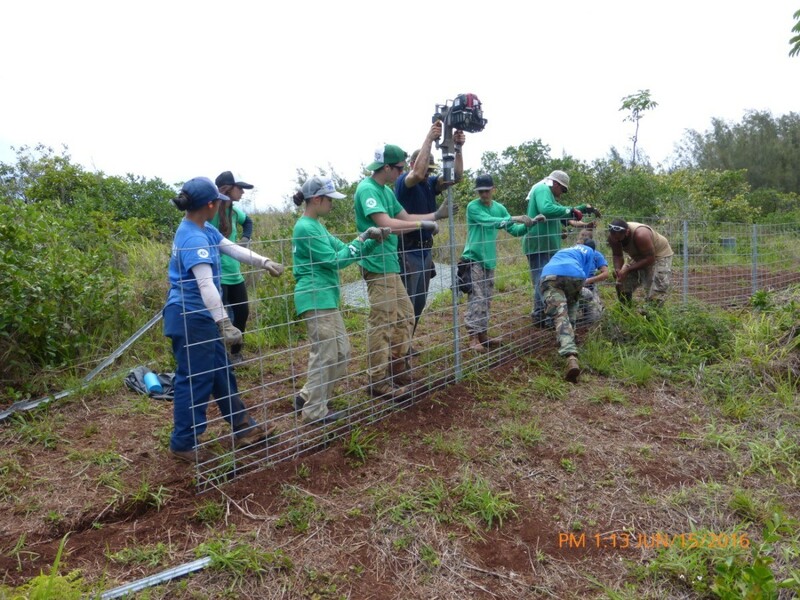 Staff and volunteers work to maintain their habitat and monitor the progress. In Hawaiian folklore, the 'alae 'ula withheld the secret of fire from man. 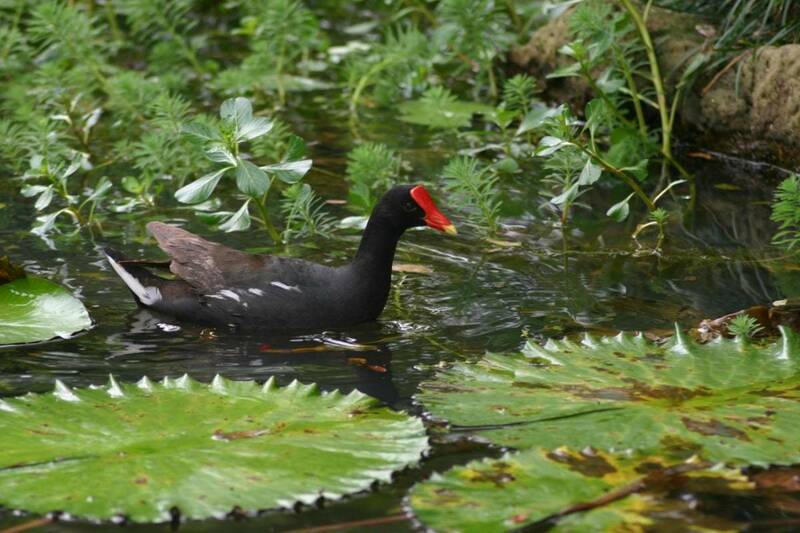 Māui, a demi-god, asked Ka'alaenuiāhina (the Great Moorhen of Hina) for the secret of making fire. When Māui found out that she lied to him, he choked her until she reveled the secret of fire. As punishment for lying to him, Māui burnt her forehead with a red hot stick. This is the reason for the red frontal shield. E mālama a e ho'omau i nā waiwai kānaka, mo'omeheu, a kūlohelohe o Waimea no kēia hanauna a me nā hanauna e hiki mai ai i loko o ka ho'onaauao 'ana a me ka ho'okahu 'ana. Preserve and perpetuate the human, cultural and natural resources of Waimea for generations through education and stewardship. Conservation staff can be reached at (808) 638-5877, hours are 8-2pm daily. 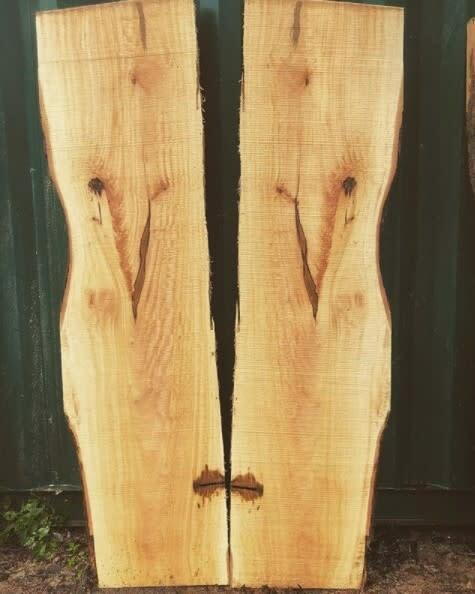 Wood pick up by appointment only!